Business plan is usually the important aspect of any business and many times it is crucial factor in getting business investment funds. While we also provide classical business planning, we also strive to help the business to have and work by their business plan which considerably brings the business forward. It takes some efforts and time to harmonize all the factors in such a business plan, but once done, it is real business booster. We use the successful administrative technology as written by L. Ron Hubbard in his encyclopedic books about organizational administration, structure and management, "Organization Executive Course (OEC)" and "Management Series" volumes. Providing you with administrative scale for your business, might be the most important action of your life. Business and life are so much interconnected terms that we always look into both aspects in corporate business planning. The same business plan can be used in getting investments like many other businessmen worldwide have been using it. Decision of the business form can make a large difference of the income and results you will later have. 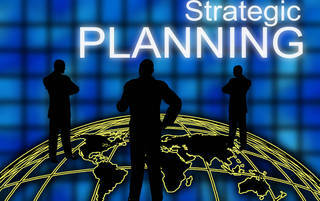 Right choice of business vehicles, choice of business partners, and the strategy may determine your future. We look into your situation and residency and search for possibilities of using offshore structures, global business benefits. If you can legally use global business benefits, we provide a plan for such structure and advise you about its use and maintenance. We also look into what kind of local business entities you can use in your business, that will have benefits for your business, without bringing you burdens. We help you decide between limited liability company, corporations, foreign corporations or offshore corporations, trusts and foundations. As your business grows, regardless if you are one-man show or large organization of 200 people, you will have benefits of corporate management consulting and training. Who in your organization is blocking your flows? How to actually get products produced? How to recruit right people? How to make actual sales? How to grow and expand your organization? Contact us and inquire by telling us about your situation and which business aspects you would like to improve.